Love the BG, the water droplets, and the color palette. Fine composition, nice details and background. 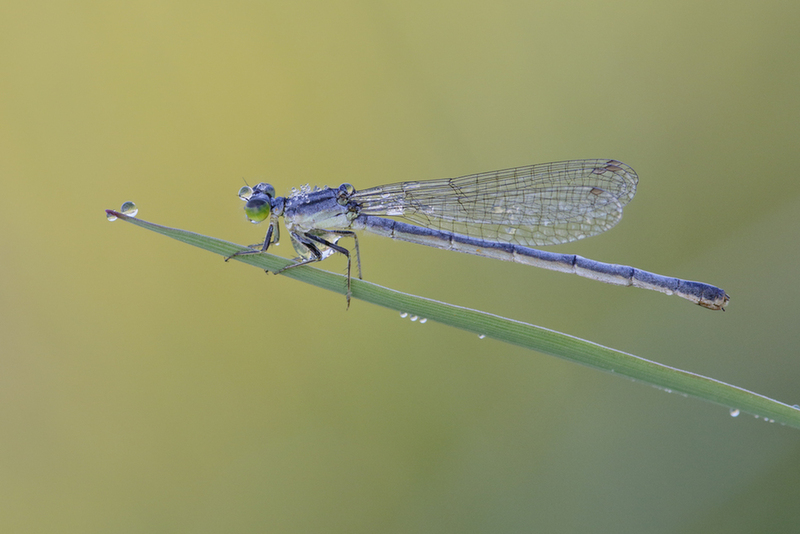 Looks like a female Eastern Forktail (Ischnura verticalis).